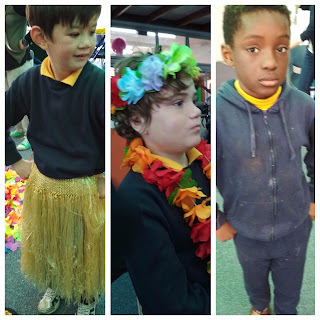 This term we have been working with some other classes at base on a very special performance with our Drama teacher Genevieve. We will be performing at the Te Oro (Arts Centre in Glen Innes) at the end of this term. We have been practicing our roles in the performance. Here is a sneak peak... Watch this space! I want to see the performance, however I don't think I should because Hugo will be upset if he sees me there like last year. Thank you for this picture.